Our Agents know heavy machinery. Tractor Transport hosts a team of experienced, knowledgeable shipping representatives. We'll make your experience seamless. We take care of all paperwork, permitting, pick up/ drop off, and dispatch. You have access to our strong network of carriers all across the nation. We offer same day loading, door-to-door delivery, and cargo hauling. 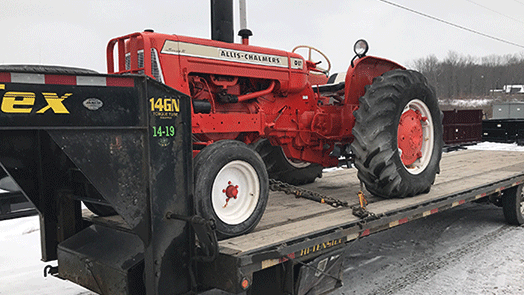 Tractor Transport will get your equipment picked up and delivered from/to any destination needed, quickly, securely, and affordably. Our trucks are made for this. We only use the newest technology which is built to keep secure and endure the long hauls of shipping tractors and heavy machinery. Tractors are very big investments, and we take transport safety very seriously. Our drivers are thoroughly trained and certified to deal with heavy equipment. We are leaders in the transport industry. 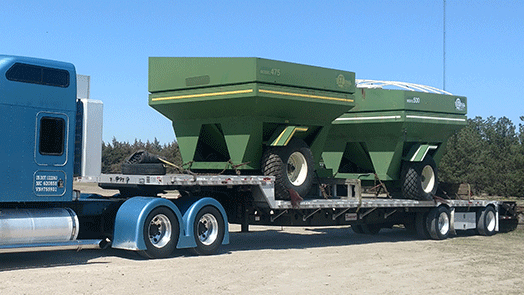 We've been dispatching farming equipment, agriculture supplies, and construction machinery since 2009. 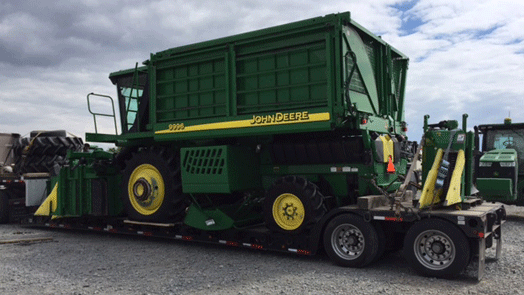 Tractor Transport saves you the hassle, time, and money! 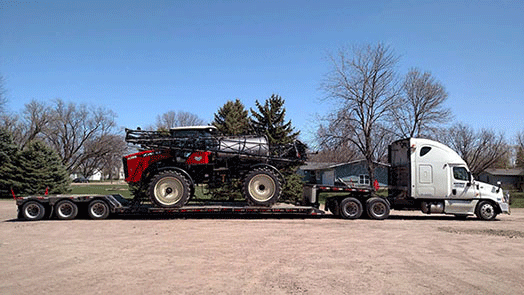 Tractor Transport is prepared to haul your equipment wherever it needs to go. Fill out our form above for an estimate. For best results - call us directly at (877) 373-0109. Oversize & Overweight Machinery Transport. State and county permit acquiring included, proper permit acquiring between states can not only take up a lot of time, but it can be expensive. Acquisition of state and county permits are included. Proper permitting between states can take up lots of time, and become very expensive. We will handle all necessary legalities and accommodations for you. We care about your cargo! We know how expensive some equipment may cost and therefore, we insure all machines and equipment no matter the worth. 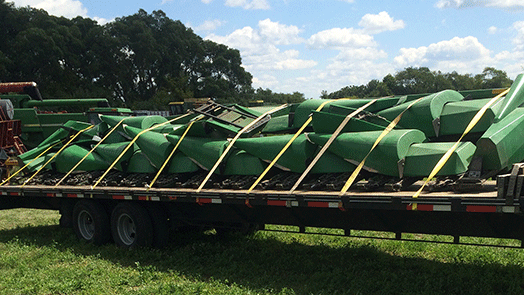 We also transport small items like trailers, backhoes, small tractors, forklifts, planters, etc. We can also dispatch lifts of any size to load the equiment if you cannot yourself. Strapping and securing done by driver. 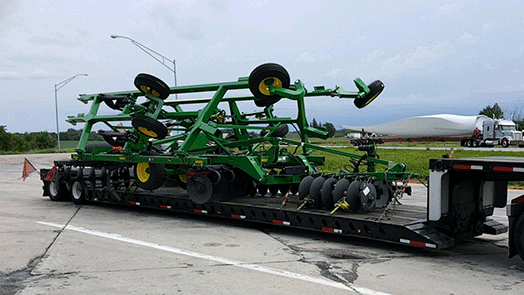 No matter the size, Tractor Transport can safely transport your machinery or equipment. Let the experts handle your shipping properly. 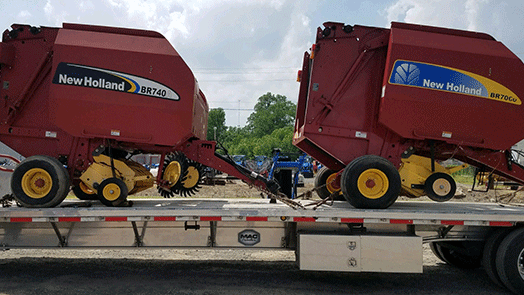 We save you from incurring extra expenses that are involved with self-hauling, or from hiring an inexperienced business that's not prepared to handle specific types of machinery. 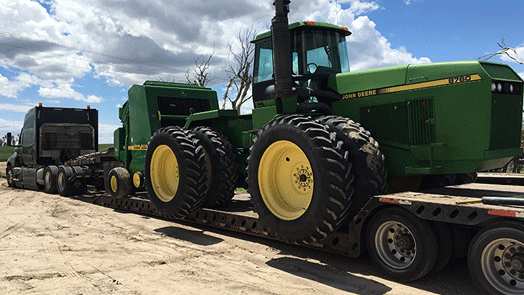 Tractor Transport will get your vital equipment moved fast for you. 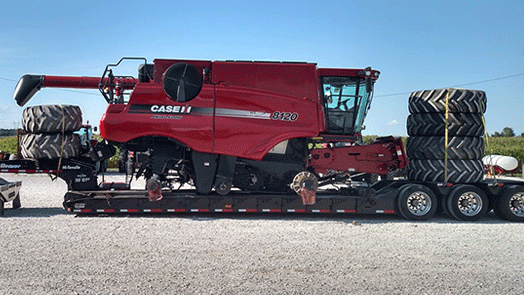 Planters, seeders, sprayers, combines, fertilizers, backhoes, loaders, and more.... We move it all! Booking a shipment with us is easy. Our knowledgeable staff of transport specialists are ready to meet your shipping needs, and answer any questions you may have. Call Now: (877) 373-0109. Our business hours are Monday through Sunday 8:00 AM to 8:00 PM EST. Fill out the quote form to the right, and we'll email you an up-to-date rate. For the fastest, most accurate, no hassle estimate - contact us by phone.